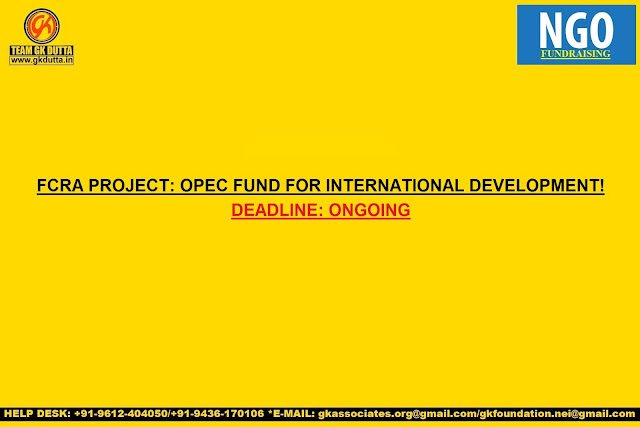 FCRA PROJECT: OPEC FUND FOR INTERNATIONAL DEVELOPMENT! The OPEC Fund for International Development (OFID) is inviting Applications from the international, national, regional and non-governmental organizations, supporting initiatives aimed at enhancing livelihoods by addressing challenges in areas such as education, energy poverty, food security, public health, water supply and sanitation, which may not be directly funded through other financing windows. Those eligible are international, national, regional and non-governmental organizations that supply proof of their financial and legal status. High priority is always given to initiatives that benefit the low-income, least-developed countries. Individuals, private entities and OFID Member States are not eligible to apply for assistance.